Turn to SAFNA for bag filters of every shape and size. No matter what the application may be, we always have the right bag filters for you. Contact us today to place an order. ​We offer single bag filters in two standard sizes, and these may also be manifolded into a duplex configuration. These filters handle flow rates from 50 to 200 gpm. ​Our Multiple-Bag Filter Systems consist of several individual filter bags (typically between 2 and 32) that are housed in a single vessel. These filters handle high flow rates from 400 to 4800 gpm. ​Click here to request one of our top of the line Filter Housings. 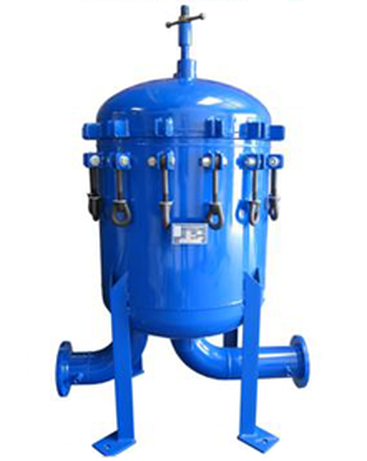 Our filter housings are manufactured in many sizes and configurations, and they can also be used as basket strainers. In all cases, the covers are easily removed while the baskets and bags are easily cleaned and replaced. The standard pressure rating for all models is 150 PSI. All housings can be supplied with an ASME code stamp upon request.